← Helena Bonham Carter As Elizabeth Taylor??? Brad Pitt’s Best Years Were With Aniston, Not Angelina. Hi kidz. Wow, this headline is probably the most controversial statement I have EVER written. But it is the truth. 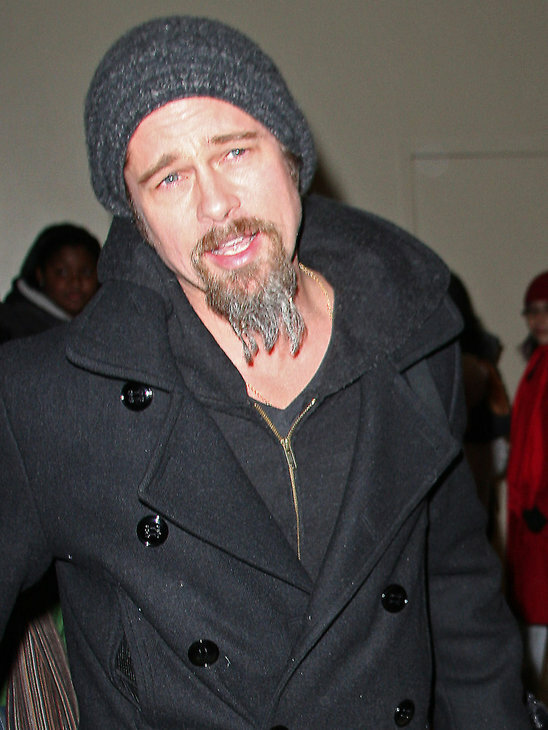 Brad Pitt today is one of the most sanctimonious, boring, smug people on EARTH. Heck, probably in the whole galaxy. 20+ years ago in the Thelma & Louise days he had a right to be smug. Damn. I spent years (slacking) off. But then I got burnt out and felt that I was wasting my opportunity. It was a conscious change. This was about a decade ago. It was an epiphany — a decision not to squander my opportunities. It was a feeling of get up. Because otherwise, what’s the point? It became very clear to me that I was intent on trying to find a movie about an interesting life, but I wasn’t living an interesting life myself. I think that my marriage [to actress Jennifer Aniston] had something to do with it. Trying to pretend the marriage was something that it wasn’t. Doesn’t look like a pothead to me. I’ll just ignore the pinky ring. Did he use Wite-Out to color his beard? I think we all know who the winner is hear. Team Aniston all the way! 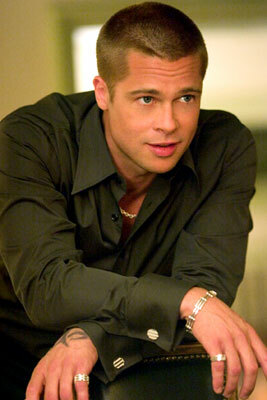 1 Response to Brad Pitt’s Best Years Were With Aniston, Not Angelina.